The Wii has plenty of life left in it, says Nintendo of America president Reggie Fils-Aime. Nintendo has a schedule for when it will release a follow up to the Wii, but claims that it's not based on time, but on sales. 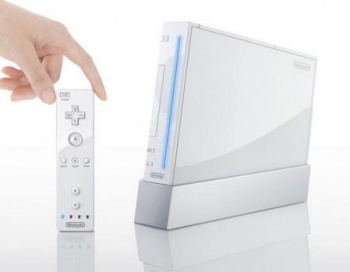 Speaking at an event in New York City, Fils-Aime said that the Wii had another 10 million units to sell in the US before it was time to talk about a new console. Fils-Aime said that the Wii was selling 23% faster than the PlayStation 2 had at the same point in its lifetime. But Wii sales have started to slow down, leading to speculation from some quarters that Nintendo might soon release a new console. Fils-Aime was unequivocal when the question of whether Nintendo planned to have a new console on shelves in time for the holidays next years, however, flatly denying the idea with a simple "no." He thought that the Wii had lots of life left in it, and said that Nintendo wouldn't be looking to even discuss a new console until the Wii's American install base of over 35 million had swelled by a further 30%. Fils-Aime's denial that a new Wii is coming isn't really very surprising. Even if Nintendo was planning to release a new console next year, he isn't going to accidentally blurt that out at a business conference in New York. He's also not going to admit that the Wii is going to have a much tougher time sales-wise now that Microsoft and Sony have released motion controllers of their own, hence the bullish comment about the US install base. Assuming that Nintendo hasn't already decided when its next console will come out - which is entirely possible - the timing will likely depend on how much ground it loses to Sony and Microsoft now that the playing field is more level. The Wii is a less expensive console than the Xbox 360 or PlayStation 3, which obviously will be a factor, but the Wii also does less than its rivals. You also have to take into account that the Wii's key advantage - that it appeals to a broad audience because it's easy for anyone to play - isn't unique anymore. The Wii certainly isn't doomed, and it still has a significant lead on either of its rivals, but it's now competing more directly with the Xbox 360 and PS3. There's simply no way that Nintendo won't have taken that into account when planning for the years ahead.